For centuries men have gifted women with flowers – from the Ancient Greeks who believed the beautiful blooms were the language of the gods to rational Victorians who thought a carefully arranged bouquet was the only way to express one’s emotions. Of course, we all know that receiving flowers is wonderful, but buying flowers is the tricky stuff. It requires thought, emotion, connection and sometimes a fair amount of panic. So how do you go about choosing the right flowers for your special someone? 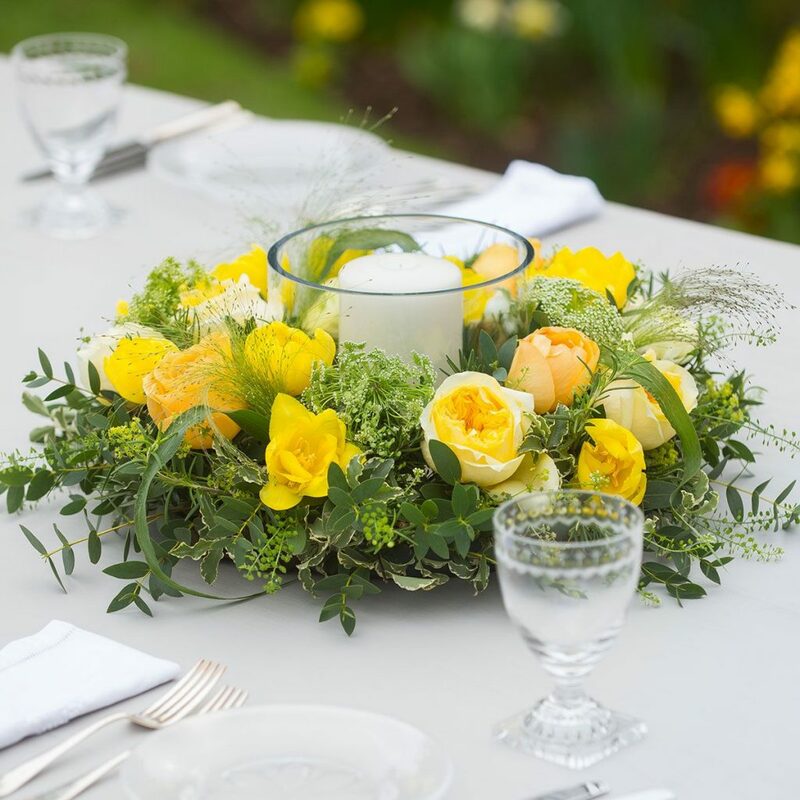 Here at The Real Flower Company we have years of experience to help you navigate the art of giving. Our exquisite hand-tied bouquets are sure to deliver the message you want to send, filling the senses with a blend of radiant beauty and delicious fragrance that will linger in the memory. It’s safe to say this trick has worked for many men through the years, and probably always will. Nothing helps an apology along like a wonderful bouquet sent express delivery, the day after a quarrel. White roses such as Margaret Merril or White O’Hara symbolise 'I’m worthy of you', they are sure to uplift the recipient’s sombre mood. Christmas and Easter can be full of cheer, laughter and joy, but also stress, panic and pressure. Sending flowers is the perfect way to show her that you appreciate her efforts. And the unexpected joy of receiving flowers at Easter or Christmas will last long after the holiday has ended. Christmas flower arrangements & fresh door wreaths can use crisp whites like peony shaped Cream Piaget, White O’Hara or Snowballet roses, symbolising peace and innocence and delivering a sense of calm. 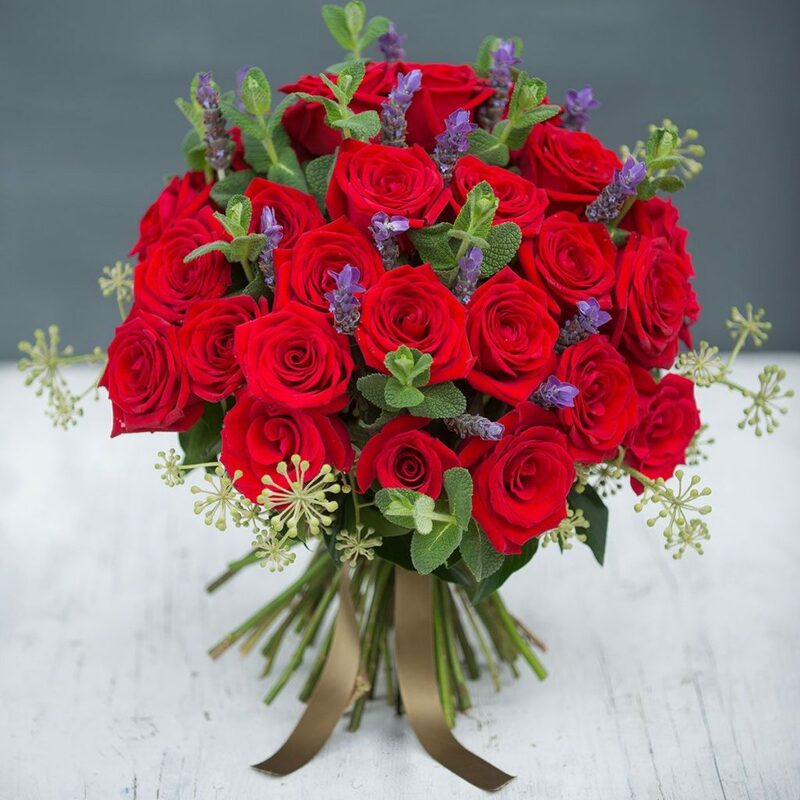 Or bring vibrancy with red roses like Deep Secret and Lady Killer, paired with deliciously scented herbs and foliage. You can find our range of sensational Christmas bouquets here. 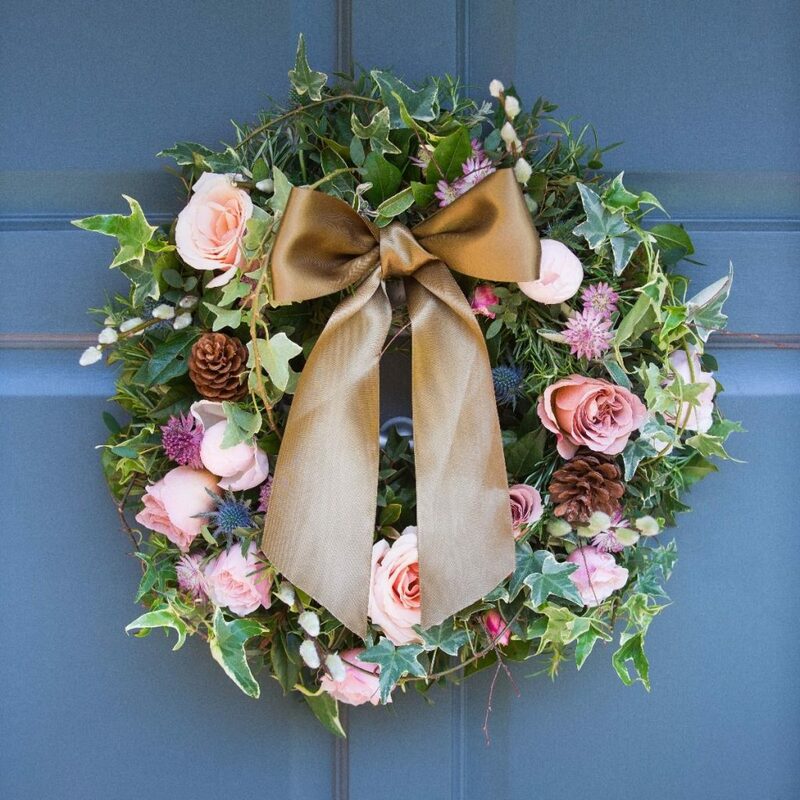 Our iconic Woodland Antique Door Wreath makes for the perfect gift to your nearest and dearest over the Christmas period. For Easter, choose scented narcissus or an arrangement of flowering spring bulbs. Or think about spring blossom, magnolia and scented jasmine as a celebration of the optimism of spring. Make her feel full of life and love! One of the oldest traditions of giving flowers is Valentine’s Day. Which means it’s probably the moment to splash out on something really special. At The Real Flower Company we make sure we can grow sustainable blooms even in the February gloom. 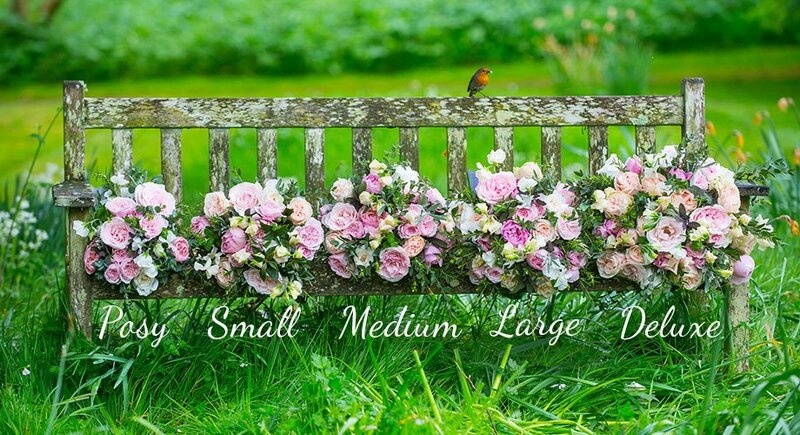 And the glorious scents of our Fairtrade roses, herbs and foliage are almost guaranteed to stimulate the senses and create a feeling of luxury and romance. You can find a range of our Valentine’s day bouquets here. Our Classic Valentines Bouquet is the prefect gift for your special other this valentines. No woman in the world would turn up her nose at a beautiful birthday bouquet. 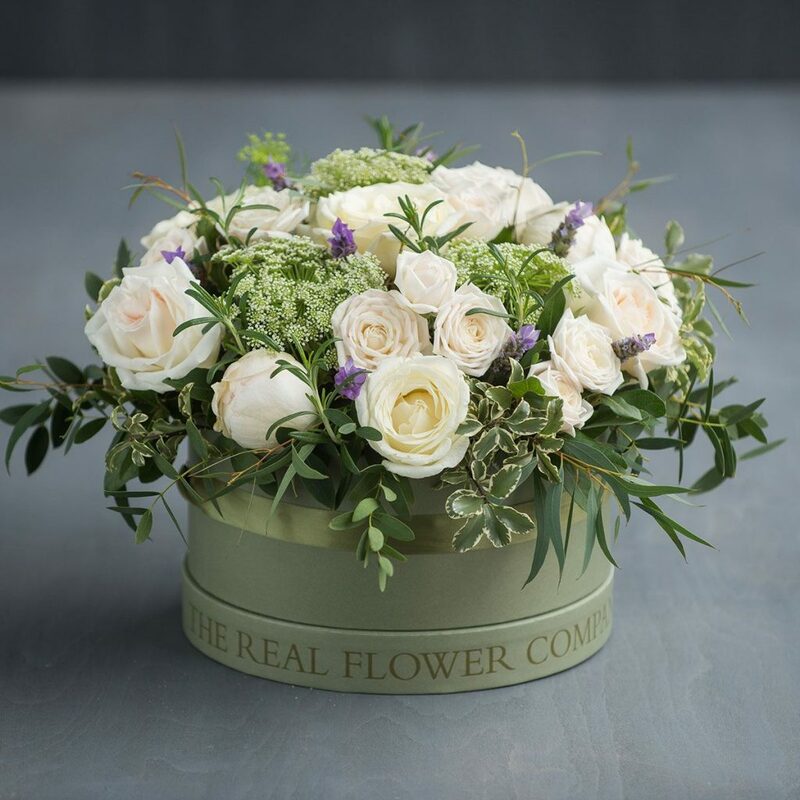 At The Real Flower Company we specialise in using seasonal flowers, which means we can honour the day with a bouquet of foliage and blooms that truly chime with anyone’s special time of year. Our Florist Choice Bouquet filled with seasonal roses, flowers & foliage makes for the perfect Birthday gift. Whether it’s one year, twenty-five years, the first moment you said ‘I do’ or the day you made it official, an anniversary is a special occasion. A bouquet of seasonal flowers shows how much that moment meant to you, with specific scents and colours bringing back memories year after year of your own special moment. 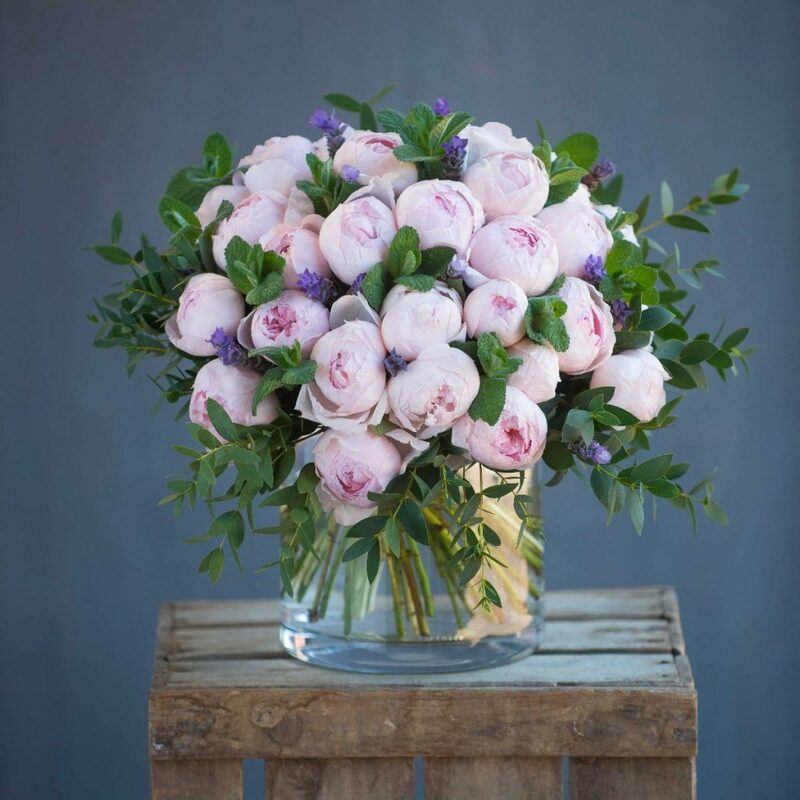 Our beautifully scented and classically styled Simply Peony Pink Bouquet is the perfect way to celebrate any anniversary, no matter the year. To be romantic - It might be obvious, but there is no better way to show how romantic you feel than giving a beautifully selected bouquet. To cheer her up - One of the most touching times to receive flowers is when you’re not feeling ‘you’. By sending a luxurious bouquet, you can guarantee to make the day a little brighter. To congratulate - Nothing says well done like a fleeting gift of exceptional quality. Flowers gain top marks in this department. To wish good luck – Sending flowers before a difficult day boosts morale and shows you are confident she can win through. The proof that someone believes in you and is thinking of you will pay dividends. 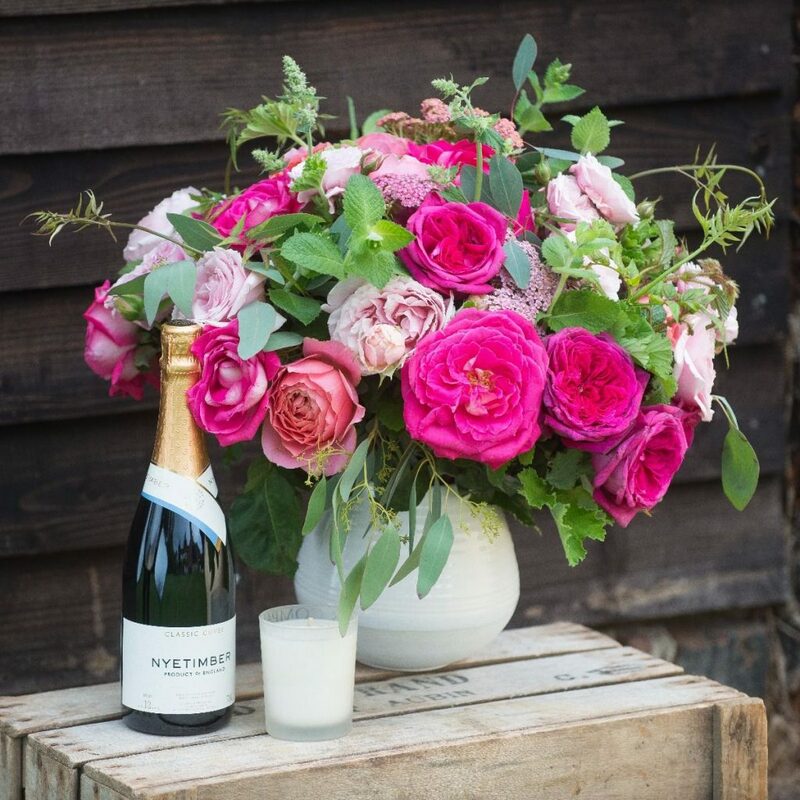 At The Real Flower Company we grow our own roses on our eco-friendly English and fair-trade farms. So our flowers are freshly picked for next-day delivery. 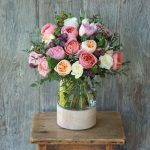 Whether you want to send your bouquet directly to your loved one or have it sent to you to deliver to her in person, we guarantee next day delivery to orders received before 4pm.